See you guys this Saturday at TEAM MANILA (1st level of the New Wing of Market! Market!) September 15, 2 pm. 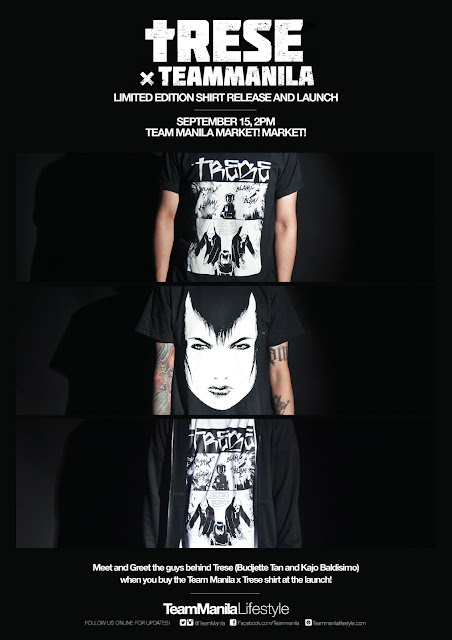 Me and Kajo will be there to sign your books (yes, copies of Trese will be available at Team Manila stores) and we'll even sign your Team Manila x Trese shirts. 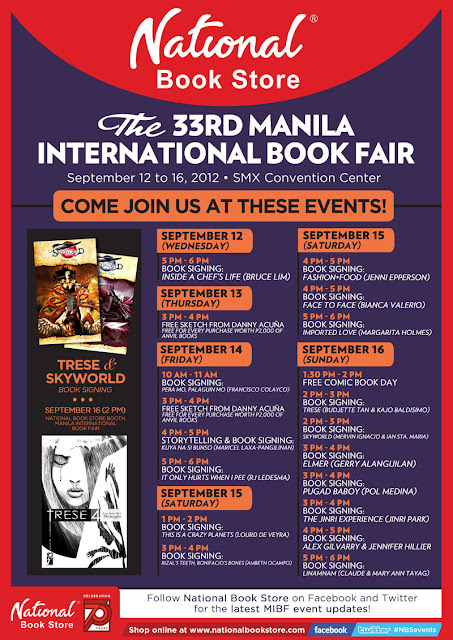 On Sunday, me and Kajo will be at the 33rd Manila International Book Fair (MIBF), along with Mervin Ignacio and Ian Sta. Maria of SKYWORLD. We will be at the National Bookstore booth from 2pm to 3pm. 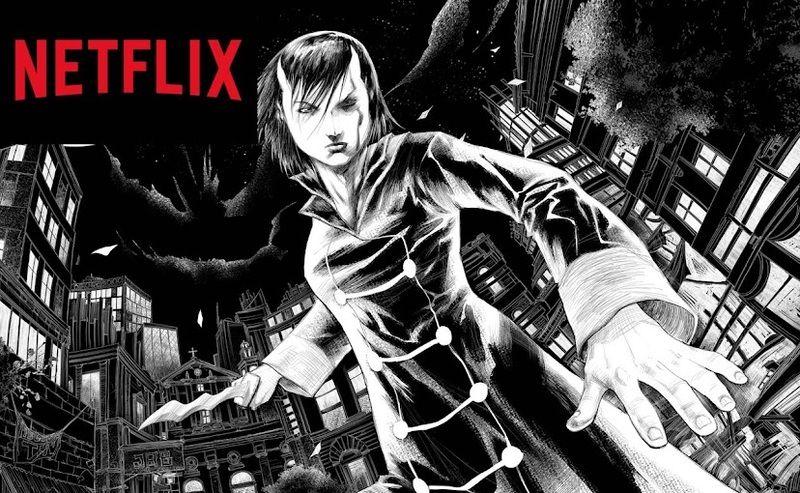 Come over and we will gladly sign, doodle, and vandalize your comic books.